So I know everyone has been waiting in anticipation for our brew to be ready, and finally the time is here! We were told to test the readiness of the brew by lighting a match inside the vessel and if it didn’t go out then it was done. Well the day is finally here! 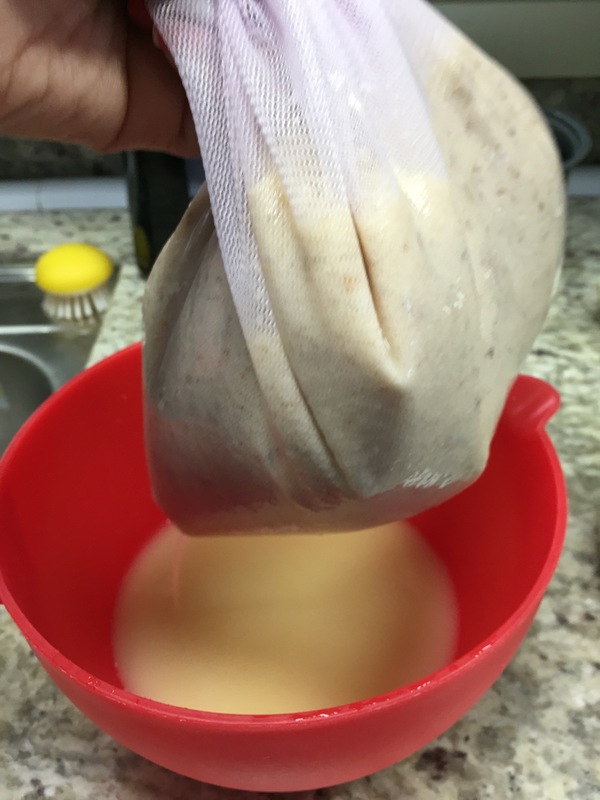 The next step to get to Makgeolli is to strain the brew. 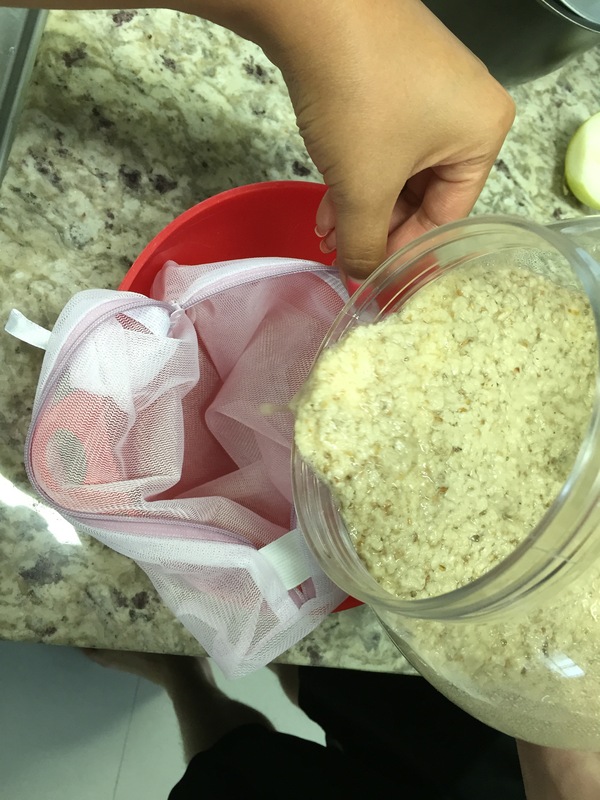 We purchased a small nylon mesh bag from Daiso for $1 and washed it. We then took our brew and poured it into the bag. I then squeezed the bag until all the liquid had come out and all that was left was the sediment. 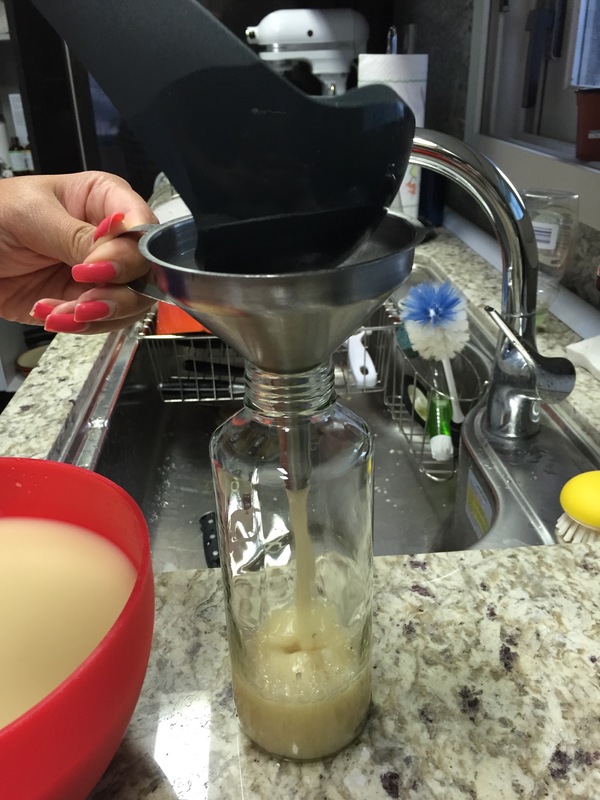 The sediment can be used a meat tenderizer, to make soap, etc. I went ahead and froze it for a later project. Ta da we now have Wonju!! We of course immediately tasted our brew, it tasted pretty good. Scott’s was grayish and very cloudy and not very sweet, but very smooth. Mine was very milky, sweeter, but acidic. What we want to do from here is to allow the Wonju to settle into 2 parts. A Cheonju (rice wine) that can be distilled further into Soju, and a Takju (sediment) which when you add water is what you call Makgeolli!! So I went ahead and ladled some into a glass bottle so we could continue enjoying Wonju, but left the majority of the brew in the vessel to separate. We put the vessel and the glass bottles into the fridge. 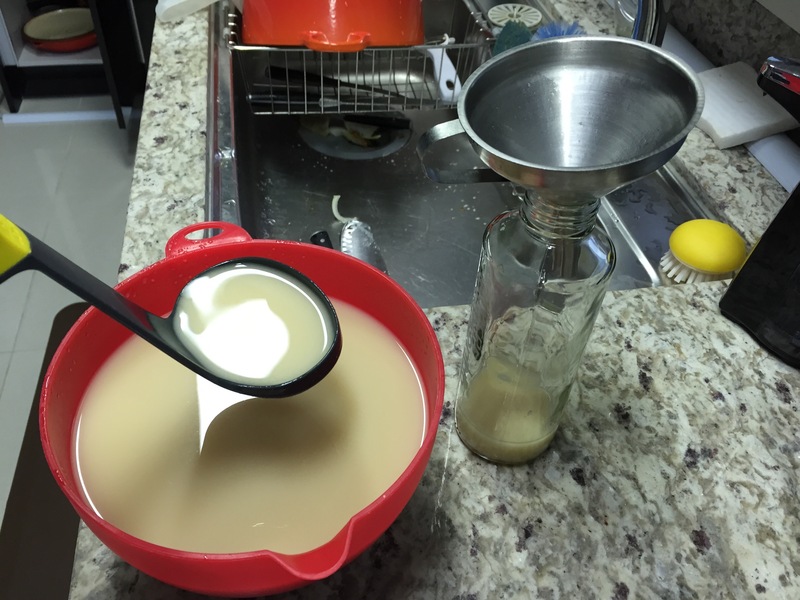 Once the Wonju separates we will make our Makgeolli and let you know what we think! Previous Post Help! I need a doctor!